Wow! That’s a good one…. i cant wait for this!! come to me JJ! Can’t wait! This drama looks interesting! I read that UEE is in talks to be the female lead…i saw her in “You’re beautiful” and i didn’t like her acting, she was very annoying. If they wanted so much to cast an idol-actress, they should have chosen Eunji or Nana. Oh well, i hope everything will be ok and the drama will have good ratings. Yes, Eunji is a good actress! Too bad they didn’t choose her! I’ll update more info about UEE as soon as she is confirmed. Hi! Thanks for the info! I saw knetz comments and they only had bad things to say about her acting. 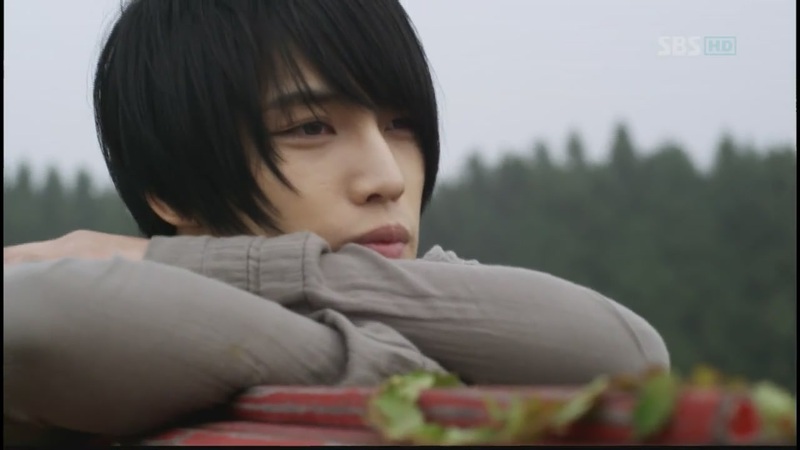 I would have wanted a better actress for Jaejoong, but i can’t do anything about it. I just hope everything will be ok! I get curious about UEE, I tried one of her drama Marriage Contract, winning Best Director, Best Actor and Best Actress (UEE) with 23,6 rating on the finale. Still at episode 2 but she’s making me teary, her portrayal as a single mother is breaking my heart. i loved her in that drama! i am excited to see the news of her and JJ starring together! the drama sounds interesting and they are both great actors! Yay @koreamon, glad to hear that. I started to watch MC yesterday during lunch break, at ep1 I already saw a potential in her, she was able to make me teary on her scenes with her daughter. When I went back online around 4 pm, news about Manhole’s lead couple already confirmed 😍. Loving the story and all the other casts of MC, I was already at ep 3 last night, excited to watch ep 4. It seems soon we’ll have a new name to add to Jaejoong’s character list! Mu Won, Kyung Tak, Young Dal, Seon Woo and now Bong Pil! Bong Pil-ie…..I think I like the sound of that 😘😘😘. Interesting! Hope JJ will have success in next drama !! I can already picture Jaejoong as a neighborhood bum, and I’m excited to know who are playing as his friends to make the group of 5.
when will have confirmation? it has been quite some times, right? I think this role is perfect for JJ. Although the Bong Pil is an opposite character to Jaejoong as a hard worker, JJ does tend to be a bit of a clumsy dork at times. JJ’s first love was when he was 13. Well, 18 years later, now at 31 will he gather the courage to go bust her wedding? I mean, as JJ immerses himself in the role, he only needs to act himself and his own memory of an angel that had captured his heart 18 years ago..
Ah, you know how in school it’s the bad guys who are the popular ones. What about if smarty pants Sujin also had a secret crush on Bong Pil? Waiting for 18 years and hoping that our bum BP will mend his ways and finally take notice of her, she realizes her expiry date is approaching in leaps and bounds. Desperate times call for desperate actions. So she decides to give up on Bong Pil and get married to another guy. But is that what she really wanted or is it just an attempt to prompt lazy guy Bong Pil into action. Wait and see … in August. Good plot development! You should set down and write your own novel/drama script. It would be good, I’m sure! Thanks Georgia Peach. You are so kind. There is something in Jaejoong that manages to unlock and trigger some hidden potential in me. BTW do you know if any one of our friends here is from Boston or NY? I’m almost afraid to trust my memory… but I think our Waffle&Chops is from New York and I’m pretty sure Mazelight is also from New York. Hope I’m right. 😌. W&C let us hear from you 😊 I’ve never heard someone say they were in Boston. Are you coming to the States? Thank you for this info. Yes, a brief visit though, just 10 days. mostly Boston (for a conference) and a dash to NY. I was wondering if there might be a place in either city where I could get some JYJ stuff.but also to spazz a bit about our favourite guys. I hope they would give me a shout..
Hope you have a wonderful trip to America. Is this your first visit? Wish you were coming to Atlanta! I would sooo come to meet you. Perhaps you can find something of JYJ in the Asian district of those cities. Although, I found it hard to find memorabilia for JYJ in Seoul. What I did find was obviously not CJeS approved and overpriced for the quality. What I eventually bought were post cards. Photo shoots from album promotions and one from Fruitful Trip. Small momento, but huge in memories! @ Georgia Peach. Yes, this will be my first trip across the ocean and only up to the East Coast. Decided, like JJ, to do a spontaneous trip and find out where the Puritans first settles and then zoom down to NY by road to see what they achieved 😉 I’ll travel to NY by road. Looks like there are some beautiful views alongside the road. I do have a friend in Atlanta and it would have been great if I had the time to go down and we meet and chat with you about our favourite guys but hopefully, this might happen next time,. I had never expected to travel either to East Asia or to the Americas but JYJ are opening my eyes to the wide world and I am loving it. And with my mom’s pressurizing me to do certain things, I better do what I want while I can. So glad you’re getting to come. New England is beautiful. And remember what Yuchun said about New York City….lots of taxi cabs! Be sure to go to take the Freedom Trail in Boston, One World Trade Center in New York! Safe journey! “Georgia Peach and @koreamom Thank you so much for your kind wishes and yes, Freedom Trail is the first one on the list, followed by Boston Harbor (is it the one of the Tea party?) the Elizabeth Gardner Museum and a few other places. But I’ll be going in two weeks. I am still in Kenya till then. With JJ starting his drama in early August, there is no hope for a concert tour before October so I decided to go West before I go East for his concerts. Looking forward to Bong Pil-ya. You are so right! Boston Harbor is the place of the Tea Party. Some 92,000+ pounds of tea were tossed into the water. That’s a lot of tea bags! Prhaps Jae will do an end of the year concert or two and they will go over into the new year. Or perhaps he’ll do a New Years/Birthday celebration series of concerts…..with new music released at the end of the year. I think, though, he’d be able to fill a venue even if he doesn’t have a new album to promote. I’m not from there but I’ve visited New York City and Boston a few times. There’s a train which I took between the 2 cities which was very nice and the subways and buses are great to get around both cities. JYJ merchandise is hard to find nowadays because they’re not promoting an album. But you could check out Kinokuniya, the Japanese bookstore on 6th Avenue in NYC. They may have some Kpop magazines hopefully with photos of Jae Joong. You could also look around the area called Koreatown in NYC on 32nd Avenue for a Korean bookstore. They sometimes carry Kpop merchandise. And you could eat Korean food in the restaurants in the area if you’re interested. @jjhistitch Wow! Thank you for all those tips. I am definitely putting all of them right now in my note book. When I was in Japan it was easy – Just go to Tsutaya or Tower and you get all you want, so it figures that it’s more likely to get something on JJ and JYJ in a Japanese bookstore than a Korean. I had thought of going to NYC by bus just because the road map shows both seashore and landscape but I’ll certainly explore the train option. Thanks once again. It’s great to be a JYJ fan – it connects one with all corners of the world. You’re welcome. Oh, I found the name of the Korean bookstore that I visited in NYC. It’s Koryo Bookstore at 35 W 32nd Street. I had forgotten that in the last 3 years, many kpop concerts have gone to NYC so the bookstore now has a lot of cds, dvds and merchandise in addition to the kdrama dvds. Hopefully, they’ll have some JYJ. @ jjhistitch Thank you so much for this info. I am putting it in my Note book. Now I should search for some abnb in the neighbourhood. Things seem to be taking shape. Anna Liza , if you’d like, email me at georgiapeach47100@yahoo.com. Even if we can’t get together……perhaps we think of something! Looking forward to hearing from you! Can’t wait to see teaser of a drama. Big Hit is a small and a new company, I think it’s younger than Cjes, it has ibighit channel and BANGTANTV where they upload various stuffs for fan service even if BTS can appear on tv anytime they want. And they can Eng_sub their videos (though not all), fans don’t have to go to 1theK (who delete official MV😭) to read the Eng_trans. I stand corrected, BH is not younger than Cjes, it is just that BTS debuted 2013 making the company more visible. So there must be some significance to the number “3”: 3rd generation; failed college entry 3 times, 3 years unemployed; government exam prep, 3 times. Poor guy. 🙂 I love this down-on-luck character already. It’s kind of against type – the often suave, cool, JJ we know. I’m really looking forward to seeing this. But I need to do some serious catching up, though. I haven’t see any of JJ’s previous dramas *dodges tomatoes*. Isn’t that terrible?! So can you please recommend which to watch and in what order, please? It’ll keep me geared up for Manhole. I started “Protect the Boss” because of Ji Sung (didn’t know JJ at the time) but abandoned it (too early); and tried “Dr. Jin” too but didn’t get far. W&C, you might would like to start with Heaven’s Postman. Jae is at his most beautiful anime look. He gets lots of face time and the story is very sweet. My intro to Jaejoong was Dr. Jin. And I loved the bromance between Kyung Tak and Young Hwi. Also the relationship Kyung Tak has with his father…..I think Jae played it all very well. For me, I think Jae’s best role so far was Young Dal in Triangle. The story is good and Jae does an excellent job in depicting this angry, lost, ambitious character. Oh, and a character in love! For me, Spy is almost impossible to find. There are sights that I have found unreliable for picture quality…so I’ve given up on watching it again. Can’t remember where I watched it when it came out, but the quality was terrible to watch. But the shower scene was worth the try! His chest tattoos were gone! Jackal Is Coming was good also. Jae played a kidnapped idol and there were some very funny moments.! I watched Protect The Boss last. And I could really tell how much Jae had improved his acting skills. As for the order to your marathon watch…..just be sure you get Jaejoong’s past work done before Bong Pil-ie comes to the screen. Let us know how you are progressing and which character is your favorite! thats a fine list of jj videos. i started with Heaven’s Postman too and i loved it so much i bought a copy. i also got protect the boss and a directors cut of spy (dont know why on that one). anyway, watch them all and return and report! Thanks for the suggestions, GP and Koreamom! 🙂 I heard about Spy and Triangle, but not Heaveon’s Postman. I feel a marathon session coming on. LOL. Too many shows, not enough time. But for JJ, I’ll sacrifice some sleep. 🙂 Will let you know how I get on. Heaven’s Postman is like having a two hour dream with Jaejoong! Hope you like it too. You can find it on DramaFever. It along with Jackal Is Coming. let us know your fave! Ah, Georgia Peach, you have found such a beautiful dreamy picture of JJ. Could stare at him for ever. I could soooo watch HP again tonight and not at all feel bored ! Jaejoong is so beautiful…. After the joint Korea-Japan production of Heaven’s Postman, Jaejoong acted in another Japanese Fuji TV drama Sunao Narenakute which translates into I can’t tell you that I love you. In those days of DBSK they acted in a good number of Banjun dramas but I liked JJ in Dating on Earth. You chun and JJ were the main characters and JJ entered quite well in his role. It would be good to watch Protect the Boss first because it’s Jae Joong’s very first Korean drama. At the time it was a big step forward for him! Then you can watch Triangle and Spy to see how much he has grown in his acting, really wonderful! If you can, be sure to watch Heaven’s Postman, the Japanese drama Sunao Narenakute, his movie Jackal is Coming and Dr. Jin. My very favorite drama is Protect the Boss because that is how I found Jae Joong and then JYJ!